This is, II. 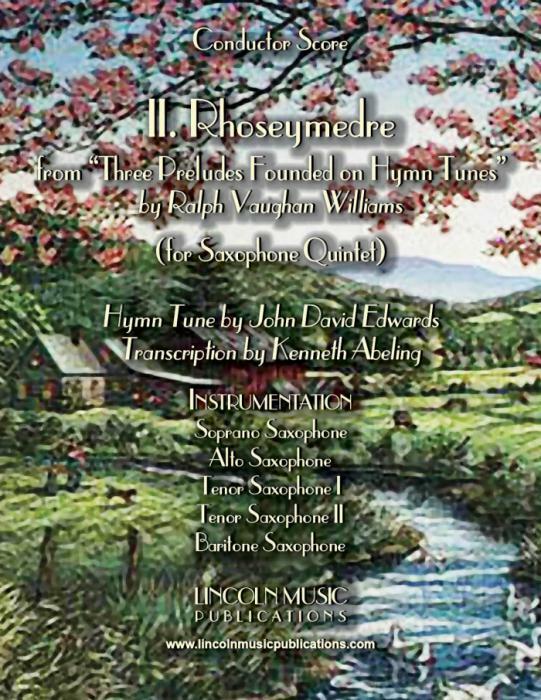 Rhosymedre from “Three Preludes Founded on Hymn Tunes” by Ralph Vaughan Williams for Saxophone Quintet. “Rhosymedre” (Lovely), by Welsh Anglican priest John David Edwards, is a hymn tune named after the village of Rhosymedre in the County Borough of Wrexham, Wales. This is an intermediate level arrangement suitable for a variety of occasions to include; Weddings, Worship Services, Funerals and General Performance.